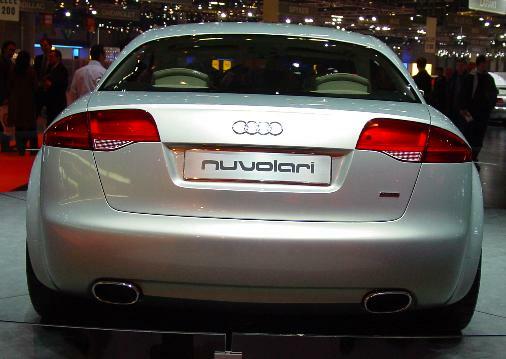 At Geneva 2003, Audi showed a concept car, named Nuvolari. 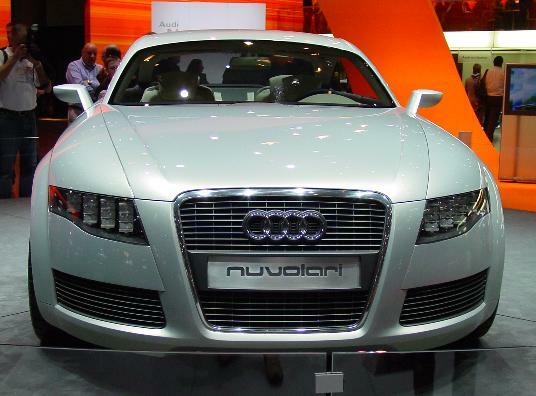 Tazio Nuvolari won the very last Grand Prix for Auto Union, back in 1939. Nuvolari died in 1953, 50 years ago. 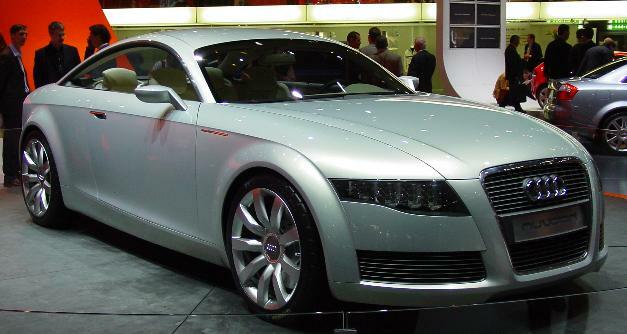 The Nuvolari Coupé shows a lot of ideas that you will find on future cars of Audi. 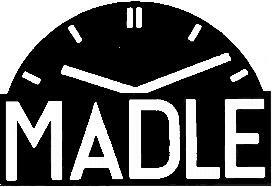 The big radiator-grill, inspired by the old Grand-Prix-racers. 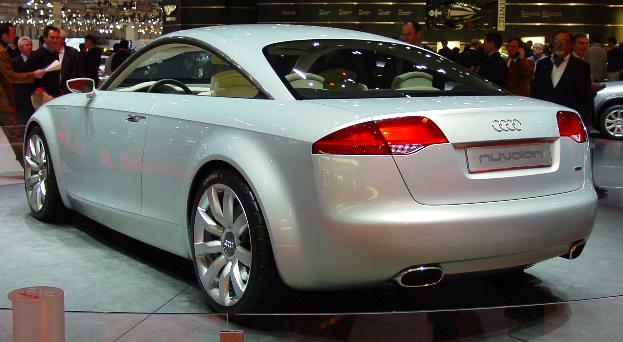 The rear-lights, you can see in similar design on the A8, already.